This article is about the year 1592. Wikimedia Commons has media related to 1592 . 1592 ( MDXCII ) was a leap year starting on Wednesday of the Gregorian calendar and a leap year starting on Saturday of the Julian calendar , the 1592nd year of the Common Era (CE) and Anno Domini (AD) designations, the 592nd year of the 2nd millennium , the 92nd year of the 16th century , and the 3rd year of the 1590s decade. As of the start of 1592, the Gregorian calendar was 10 days ahead of the Julian calendar, which remained in localized use until 1923. A leap year starting on Wednesday is any year with 366 days that begins on Wednesday, 1 January, and ends on Thursday, 31 December. Its dominical letters hence are ED, such as the years 1908, 1936, 1964, 1992, 2020, 2048, 2076, and 2116 in the Gregorian calendar or, likewise, 2004 and 2032 in the obsolete Julian calendar. Any leap year that starts on Monday, Wednesday or Thursday has two Friday the 13ths. This leap year contains two Friday the 13ths in March and November. Common years starting on Thursday share this characteristic, but also have another in February. January 30 – Pope Clement VIII (born Ippolito Aldobrandini) succeeds Pope Innocent IX, who died one month earlier, as the 231st pope. February 7 – George Gordon, 1st Marquess of Huntly, sets fire to Donibristle Castle in Scotland, and murders James Stewart, 2nd Earl of Moray. March 3 – Trinity College, Dublin, Ireland's oldest university, is founded. March 14 – Ultimate Pi Day : the largest correspondence between calendar dates and significant digits of pi, since the introduction of the Julian calendar. April 4 – The future Henry IV of France, King designate of Henry III of France, announces in a declaration, so-called "Expedient," his intention to take instruction in, and convert to, the Catholic religion. April 13 – The Japanese invasions of Korea (1592–98) begin, with the Siege of Busanjin. April 24 – Battle of Sangju: The Japanese are victorious over the Koreans (Joseon). April 28 – Battle of Ch'ungju: Japan inflicts a decisive defeat on Korea. May 7 – Battle of Okpo: The Korean navy is victorious over Japan. May 29 – Battle of Sacheon: Korean admiral Yi Sun-sin destroys all 13 Japanese ships taking part, using his improved turtle ship for the first time in battle. June 2 – Battle of Dangpo:The Korean navy is again victorious over Japan. June 10 – 19 – Siege of Bihać in the Kingdom of Croatia, by Hasan Pasha Predojević of the Ottoman Empire. Bihać is captured and lost for Croatia forever. January 30 is the 30th day of the year in the Gregorian calendar. There are 335 days remaining until the end of the year. Pope Clement VIII, born Ippolito Aldobrandini, was Pope from 2 February 1592 to his death in 1605. Born in Fano, Italy to a prominent Florentine family, he initially came to prominence as a canon lawyer before being made a Cardinal-Priest in 1585. In 1592 he was elected Pope and took the name of Clement. During his papacy he effected the reconciliation of Henry IV of France to the Catholic faith and was instrumental in setting up an alliance of Christian nations to oppose the Ottoman Empire in the so-called Long War. 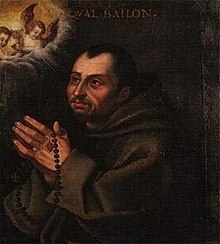 He also successfully adjudicated in a bitter dispute between the Dominicans and the Jesuits on the issue of efficacious grace and free will. In 1600 he presided over a jubilee which saw a large number of pilgrimages to Rome. He had little pity for his opponents, presiding over the trial and execution of Giordano Bruno and implementing strict measures against Jewish residents of the Papal States. He may have been the first pope to drink coffee. Clement VIII died at the age of 69 in 1605 and his remains now rest in the Santa Maria Maggiore. Pope Innocent IX, born Giovanni Antonio Facchinetti, was Pope from 29 October to 30 December 1591. July 8 – Battle of Hansan Island: Korean admiral Yi Sun-sin destroys or captures around 60 Japanese ships without loss, in a battle in which around 190 ships take part. 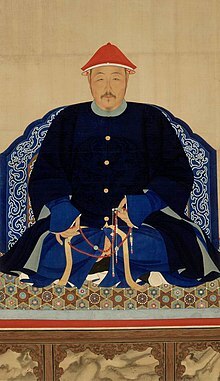 July 20 – The Japanese capture the Korean capital Pyongyang, causing Seonjo to request the assistance of Ming Dynasty Chinese forces, who recapture the city a year later. July 30 – Alonso de Sotomayor petitions the viceroy of Peru for more troops, to help resist attacks by Indians and English pirates. August 9 – English explorer John Davis, commander of the Desire , probably discovers the Falkland Islands. August 14 – Battle of Hansan Island: The Korean navy defeats the Japanese. August 15 (or 19) – The great Portuguese carrack, Madre De Deus, captured in a fierce battle in the Azores, enters Dartmouth harbour on 7 September, and is then subjected to mass theft. September 1 – Battle of Busan: The Korean fleet makes a surprise attack on the Japanese, but fails to break their supply lines to Busan. October 5 – Siege of Jinju: The Korean navy is victorious over the Japanese. November 3 – The city of San Luis Potosí is founded. November 17 – John III is succeeded by his son Sigismund, as King of Sweden. July 8 is the 189th day of the year in the Gregorian calendar. There are 176 days remaining until the end of the year. The Battle of Hansan Island and following engagement at Angolpo took place from 14 to 15 August 1592. In two naval encounters, Korean Admiral I Sunsin's fleet managed to destroy roughly 100 Japanese ships and halted Japanese naval operations along the southern coast. Admiral Yi Sun-Shin was a Korean naval commander famed for his victories against the Japanese navy during the Imjin war in the Joseon Dynasty, who became an exemplar of conduct for both the Koreans and Japanese. Despite the fact that he had no prior naval training, Admiral Yi was never defeated at sea nor lost a single ship under his command to enemy action, and military historians have placed him on par with Admiral Horatio Nelson as one of the greatest naval commanders in history. His title of Samdo Sugun Tongjesa, literally meaning "Naval Commander of the Three Provinces", was the title used for the commander of the Korean navy until 1896. The Collegium Melitense is founded by Bishop Garagallo. William Cecil, 1st Baron Burghley, chief adviser of Queen Elizabeth I of England, is taken seriously ill. Negotiations begin, for the dissolution of the childless marriage of Henry IV of France and Marguerite of Valois. The Confucian shrine of Munmyo is destroyed by fire. William Cecil, 1st Baron Burghley, was an English statesman, the chief advisor of Queen Elizabeth I for most of her reign, twice Secretary of State and Lord High Treasurer from 1572. Albert Pollard says, "From 1558 for forty years the biography of Cecil is almost indistinguishable from that of Elizabeth and from the history of England." 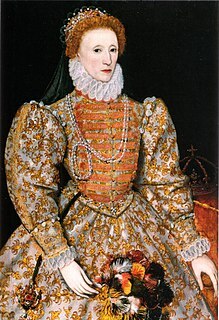 Elizabeth I was Queen of England and Ireland from 17 November 1558 until her death on 24 March 1603. Sometimes called The Virgin Queen, Gloriana or Good Queen Bess, Elizabeth was the last of the five monarchs of the House of Tudor. Henry IV, also known by the epithet Good King Henry or Henry the Great, was King of Navarre from 1572 and King of France from 1589 to 1610. He was the first monarch of France from the House of Bourbon, a cadet branch of the Capetian dynasty. He was assassinated in 1610 by François Ravaillac, a fanatical Catholic, and was succeeded by his son Louis XIII. Philippe Alegambe was a Belgian Jesuit priest and bibliographer. Pierre Gassendi was a French philosopher, priest, astronomer, and mathematician. While he held a church position in south-east France, he also spent much time in Paris, where he was a leader of a group of free-thinking intellectuals. He was also an active observational scientist, publishing the first data on the transit of Mercury in 1631. The lunar crater Gassendi is named after him. January 5 is the fifth day of the year in the Gregorian calendar. There are 360 days remaining until the end of the year. 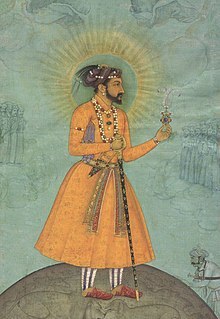 Shahab-ud-din Muhammad Khurram, better known by his regnal name Shah Jahan, was the fifth Mughal emperor, who reigned from 1628 to 1658. 1666 (MDCLXVI) was a common year starting on Friday of the Gregorian calendar and a common year starting on Monday of the Julian calendar, the 1666th year of the Common Era (CE) and Anno Domini (AD) designations, the 666th year of the 2nd millennium, the 66th year of the 17th century, and the 7th year of the 1660s decade. As of the start of 1666, the Gregorian calendar was 10 days ahead of the Julian calendar, which remained in localized use until 1923. This is the first year to be designated as an Annus mirabilis, in John Dryden's 1667 poem so titled, celebrating England's failure to be beaten either by the Dutch or by fire. It is the only year to contain each Roman numeral once in descending order. 1582 (MDLXXXII) was a common year starting on Monday of the Julian calendar, the 1582nd year of the Common Era (CE) and Anno Domini (AD) designations, the 582nd year of the 2nd millennium, the 82nd year of the 16th century, and the 3rd year of the 1580s decade. As of the start of 1582, the Gregorian calendar was 10 days ahead of the Julian calendar, which had previously been the universally accepted calendar in Christian nations. However, this year saw the beginning of the Gregorian Calendar switch, when the Papal bull known as Inter gravissimas introduced the Gregorian calendar, adopted by Spain, Portugal, the Polish–Lithuanian Commonwealth and most of present-day Italy from the start. In these countries, the year continued as normal until Thursday, October 4. However, the next day became Friday, October 15, in those countries. Other countries continued using the Julian calendar for decades or, in some cases, centuries. The complete conversion of the Gregorian calendar was not entirely done until 1923. In the Proleptic Gregorian calendar, 1582 is a common year starting on Friday. 1595 (MDXCV) was a common year starting on Sunday of the Gregorian calendar and a common year starting on Wednesday of the Julian calendar, the 1595th year of the Common Era (CE) and Anno Domini (AD) designations, the 595th year of the 2nd millennium, the 95th year of the 16th century, and the 6th year of the 1590s decade. As of the start of 1595, the Gregorian calendar was 10 days ahead of the Julian calendar, which remained in localized use until 1923. 1617 (MDCXVII) was a common year starting on Sunday of the Gregorian calendar and a common year starting on Wednesday of the Julian calendar, the 1617th year of the Common Era (CE) and Anno Domini (AD) designations, the 617th year of the 2nd millennium, the 17th year of the 17th century, and the 8th year of the 1610s decade. As of the start of 1617, the Gregorian calendar was 10 days ahead of the Julian calendar, which remained in localized use until 1923. 1652 (MDCLII) was a leap year starting on Monday of the Gregorian calendar and a leap year starting on Thursday of the Julian calendar, the 1652nd year of the Common Era (CE) and Anno Domini (AD) designations, the 652nd year of the 2nd millennium, the 52nd year of the 17th century, and the 3rd year of the 1650s decade. As of the start of 1652, the Gregorian calendar was 10 days ahead of the Julian calendar, which remained in localized use until 1923. 1650 (MDCL) was a common year starting on Saturday of the Gregorian calendar and a common year starting on Tuesday of the Julian calendar, the 1650th year of the Common Era (CE) and Anno Domini (AD) designations, the 650th year of the 2nd millennium, the 50th year of the 17th century, and the 1st year of the 1650s decade. As of the start of 1650, the Gregorian calendar was 10 days ahead of the Julian calendar, which remained in localized use until 1923. 1632 (MDCXXXII) was a leap year starting on Thursday of the Gregorian calendar and a leap year starting on Sunday of the Julian calendar, the 1632nd year of the Common Era (CE) and Anno Domini (AD) designations, the 632nd year of the 2nd millennium, the 32nd year of the 17th century, and the 3rd year of the 1630s decade. As of the start of 1632, the Gregorian calendar was 10 days ahead of the Julian calendar, which remained in localized use until 1923. 1593 (MDXCIII) was a common year starting on Friday of the Gregorian calendar and a common year starting on Monday of the Julian calendar, the 1593rd year of the Common Era (CE) and Anno Domini (AD) designations, the 593rd year of the 2nd millennium, the 93rd year of the 16th century, and the 4th year of the 1590s decade. As of the start of 1593, the Gregorian calendar was 10 days ahead of the Julian calendar, which remained in localized use until 1923. 1602 (MDCII) was a common year starting on Tuesday of the Gregorian calendar and a common year starting on Friday of the Julian calendar, the 1602nd year of the Common Era (CE) and Anno Domini (AD) designations, the 602nd year of the 2nd millennium, the 2nd year of the 17th century, and the 3rd year of the 1600s decade. As of the start of 1602, the Gregorian calendar was 10 days ahead of the Julian calendar, which remained in localized use until 1923. 1609 (MDCIX) was a common year starting on Thursday of the Gregorian calendar and a common year starting on Sunday of the Julian calendar, the 1609th year of the Common Era (CE) and Anno Domini (AD) designations, the 609th year of the 2nd millennium, the 9th year of the 17th century, and the 10th and last year of the 1600s decade. As of the start of 1609, the Gregorian calendar was 10 days ahead of the Julian calendar, which remained in localized use until 1923. 1639 (MDCXXXIX) was a common year starting on Saturday of the Gregorian calendar and a common year starting on Tuesday of the Julian calendar, the 1639th year of the Common Era (CE) and Anno Domini (AD) designations, the 639th year of the 2nd millennium, the 39th year of the 17th century, and the 10th and last year of the 1630s decade. As of the start of 1639, the Gregorian calendar was 10 days ahead of the Julian calendar, which remained in localized use until 1923. Year 1565 (MDLXV) was a common year starting on Monday of the Julian calendar. 1671 (MDCLXXI) was a common year starting on Thursday of the Gregorian calendar and a common year starting on Sunday of the Julian calendar, the 1671st year of the Common Era (CE) and Anno Domini (AD) designations, the 671st year of the 2nd millennium, the 71st year of the 17th century, and the 2nd year of the 1670s decade. As of the start of 1671, the Gregorian calendar was 10 days ahead of the Julian calendar, which remained in localized use until 1923. 1651 (MDCLI) was a common year starting on Sunday of the Gregorian calendar and a common year starting on Wednesday of the Julian calendar, the 1651st year of the Common Era (CE) and Anno Domini (AD) designations, the 651st year of the 2nd millennium, the 51st year of the 17th century, and the 2nd year of the 1650s decade. As of the start of 1651, the Gregorian calendar was 10 days ahead of the Julian calendar, which remained in localized use until 1923. 1599 (MDXCIX) was a common year starting on Friday of the Gregorian calendar and a common year starting on Monday of the Julian calendar, the 1599th year of the Common Era (CE) and Anno Domini (AD) designations, the 599th year of the 2nd millennium, the 99th year of the 16th century, and the 10th and last year of the 1590s decade. As of the start of 1599, the Gregorian calendar was 10 days ahead of the Julian calendar, which remained in localized use until 1923. 1589 (MDLXXXIX) was a common year starting on Sunday of the Gregorian calendar and a common year starting on Wednesday of the Julian calendar, the 1589th year of the Common Era (CE) and Anno Domini (AD) designations, the 589th year of the 2nd millennium, the 89th year of the 16th century, and the 10th and last year of the 1580s decade. As of the start of 1589, the Gregorian calendar was 10 days ahead of the Julian calendar, which remained in localized use until 1923. 1586 (MDLXXXVI) was a common year starting on Wednesday of the Gregorian calendar and a common year starting on Saturday of the Julian calendar, the 1586th year of the Common Era (CE) and Anno Domini (AD) designations, the 586th year of the 2nd millennium, the 86th year of the 16th century, and the 7th year of the 1580s decade. As of the start of 1586, the Gregorian calendar was 10 days ahead of the Julian calendar, which remained in localized use until 1923. Year 1578 (MDLXXVIII) was a common year starting on Wednesday of the Julian calendar. 1672 (MDCLXXII) was a leap year starting on Friday of the Gregorian calendar and a leap year starting on Monday of the Julian calendar, the 1672nd year of the Common Era (CE) and Anno Domini (AD) designations, the 672nd year of the 2nd millennium, the 72nd year of the 17th century, and the 3rd year of the 1670s decade. As of the start of 1672, the Gregorian calendar was 10 days ahead of the Julian calendar, which remained in localized use until 1923. Year 1545 (MDXLV) was a common year starting on Thursday of the Julian calendar.